Heather lives in Ocean Grove with her beautiful family and a dog called Pip. She has a passion for quirky stories. Her first book, Ferret on the Loose, was published in 2013 and was recently listed on the Victorian Premier’s Reading Challenge. The book was inspired by a girl and her ferret, who Heather interviewed while working as a freelance journalist for The Sunday Age. Her column, Yak Attack, ran in the Kids View section for more than a year and allowed Heather to profile people she thought would be of interest to kids. In 2014, she released her first picture book Happy Pants – Why is mummy so sad? This is NOT a story about ferret racing. Rather, it is a heartfelt story about a boy grappling with his Mum’s post-natal depression. Heather’s stories for children have appeared in black dog books Short & Scary anthology and Explore and Challenge magazines. Heather has experience in public speaking – both for children and adults. 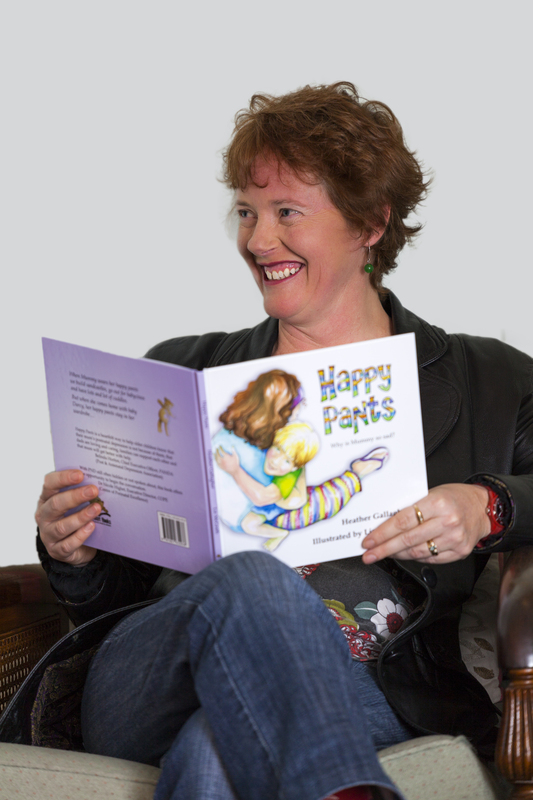 While, promoting Happy Pants she spoke to groups of counsellors, nurses, parents and at library events. She has presented writing workshops to primary-aged children. Last year, she was a presenter at the Sacred Edge festival and the Christian Writers’ Conference.